Ernesto Valverde was clear at his press conference: "The defeat against Roma was a disappointment, but we still have many things to win. We have to think about winning the next game and connecting with the fans’ support." 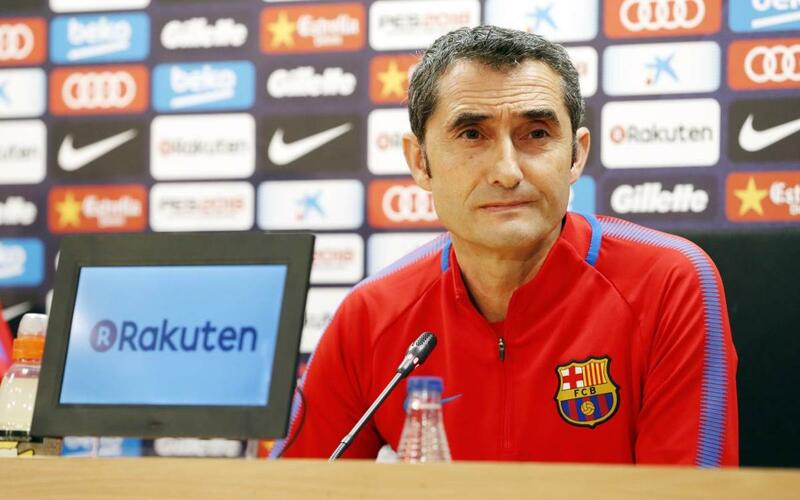 The Barça coach also emphasised the importance of continuing to win in the League in order to get closer to the goal of conquering the title: "We have seven games left and we need 10 points. We have to win tomorrow so we would only need seven points to be champions." Asked about Valencia, Saturday’s opponents (4.15pm CEST, Camp Nou), Valverde acknowledged the great form Marcelino's team are in: "I expect the same Valencia as always. They are in the middle of a great run with a system that is bringing real success. They have nothing to lose and are a team that are having an excellent season." The coach also noted that he has no problems with the physical condition of those players that are fit to play. "From a physical point of view we are well placed to face the final stretch,” he said, before leaving to prepare for a game which could see Barça end with the outright record of most consecutive La Liga games unbeaten.